Playfully infusing a familiar Occupy Wall Street chant with the mindless noshing of zombies, last month around 100 costumed protestors undertook a small but significant “Night of the Living Debt” march around the New York University campus and Washington Square Park. The event was organized by All in the Red, an initiative of student activists which grows out of the nocturnal marches that began last month in solidarity with the massive popular mobilization in Quebec against austerity-related tuition hikes. Equipped with an arsenal of felt red squares, red banners, red balloons, red confetti, and pots and pans, the young organizers — recent graduates of the OWS Summer Disobedience School training program — undertook the first coordinated march in New York to translate student-specific struggles surrounding tuition and education debt into a broader discourse concerning the perpetual condition of indebtedness in which the 99 percent currently finds itself. With its necromantic pop-cultural reference, the march suggested that zombie-like servitude to Wall Street creditors is a basic condition of life for the majority of the population — a point driven home with a cathartic “debtor’s die-in” at the conclusion of the event. 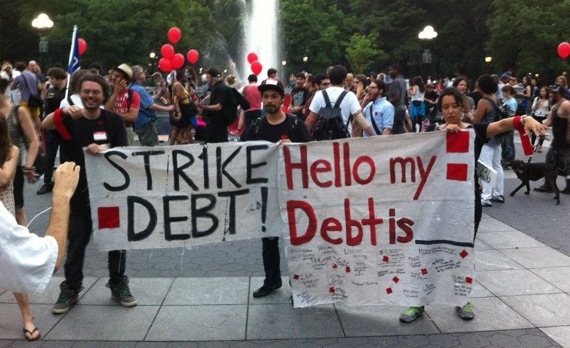 The Night of the Living Debt march was just one sign that debt is emerging as a connective thread for OWS organizers and their allies as they begin to build toward the movement’s one year anniversary of September 17, variously known as S17, Black Monday and Occupy Year One. More than just a commemorative ritual or one-off day of action, many organizers in OWS plan to use the media spotlight surrounding the day and its buildup as what Sandra Nurse calls a “launching pad” for a new kind of political movement in the United States — a movement of debtors identifying themselves as such. We are faced with a broken American social contract, and have reached a critical moment for the 99%. Under these circumstances, it seems obvious that a political movement to build a new dream should take debt as its focus. The Debtors’ Assembly was an important development in the overall trajectory of OWS. Lacking a General Assembly or a Spokes Council empowered to make movement-wide decisions, OWS as it currently stands is a dispersed network of working groups, affinity groups and project groups that sometimes overlap intensively and other times remain at a distance from one another. Some have lamented this “structureless” condition as contributing to a deadly lack of focus and dispersion of energies, leading some to claim that Occupy as a both a trope and movement has itself been exhausted. Others have seen the post-May Day interregnum as a fruitful period of reflection and reinvention on tactics, strategy, alliances and goals. Among the most interesting post-May Day experiments were a series of outdoor, outward facing “thematic assemblies” hosted on a weekly basis at Washington Square by the group Occupy Theory (OT), publishers of Tidal magazine. Avoiding the unwieldy decision-making apparatus of the Zuccotti-era General Assembly, as well as the often insular culture of OWS working groups, the OT assemblies prioritized open-ended reflection on specific political problems. In late May, an assembly was held on the concept of global solidarity in light of the intensifying struggles of student activists in Quebec. Among the participants in the thematic assemblies were members of Occupy University, Free University Think Tank, F The Banks and the OSDC; in an organic process attuned to developments in New York and around the world, it was agreed that the subsequent assembly would be devoted to the topic “Education and Debt,” with a focus on the building of a political movement specifically around the intersection of these terms. The initial OT Education and Debt assembly — which preceded the full-scale NYC Debtors’ Assembly by a week — was remarkable for the kind of space it opened up. It wove together the testimonial format with a highly focused conversation about the strategies, tactics, messaging and coalition-building it would require to make the condition of indebtedness the galvanizing focal point for a full-scale political movement rather than a single-issue campaign. As indicated in the notes from the meeting, which were circulated online throughout OWS social networks, several major questions that have long preoccupied OSDC are in the process of moving to the forefront of OWS as a whole. Even as it connects us all to global capitalism, debt isolates, atomizes and individuates. The first step is breaking the silence, shedding the fear and creating a space where we can appear together without shame. In the first assembly, analogies were drawn to the notion of “coming out” in the history of the gay rights movement, in which a new sense of political identity was forged by collectively embracing an otherwise stigmatized individual condition — a play on the famous ACT UP slogan, “Silence = Debt” has been put forward as a meme, alongside the slogan “You Are Not a Loan” coined by student debt activists in earlier phases of organizing. Another well-received propaganda project to emerge from the debt assemblies has been a sticker reading “Hello, My Debt Is…,” designed in the manner of the “Hello, My Name Is” identifier that would be worn at a conference or convention. 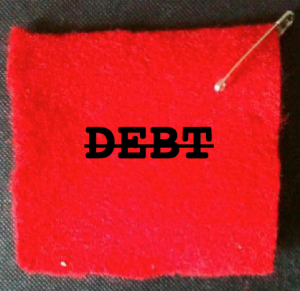 A large banner has also been produced featuring this design; participants in the debt assemblies are invited to sign the banner with the dollar-amount they owe to creditors, with each signature in turn supplemented by a safety-pinned red felt square of the sort typically affixed to the clothing of protesters. 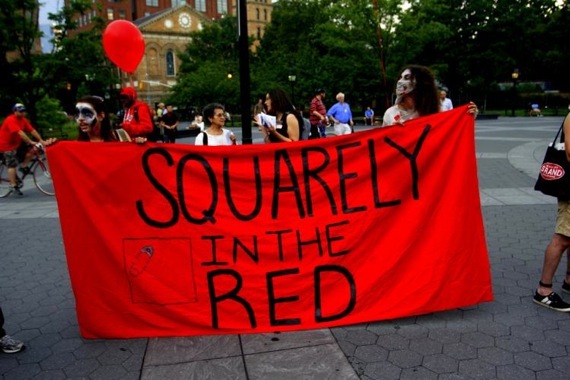 The felt square is increasingly recognized in New York as a signature not only of student struggles, but of debtors more generally. It mediates between the intimate scale of the body and the collective scale of the banner, the assembly, and indeed the movement as a whole. Forgiveness, while certainly a noble idea, implies a guilty debtor asking to be freed from its sin. Refusal, on the other hand, is an empowering, collective challenge to an illegitimate and predatory debt-system. However, organized collective refusal is a project requiring long-term research, organizing and support. To simply call for a debt strike without significant groundwork is unlikely to resonate with debtors already living in fear around their credit ratings and day-to-day survival. 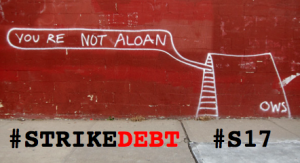 An alternative messaging framework that has emerged from these assemblies has been “Strike Debt” — variously telegraphed as #strikedebt and DEBT. Playing on the metaphorical possibilities of the word “strike,” in the words of Amin Husain, “Strike Debt opens imaginative space for a wide spectrum of thought and action without limiting a politics of indebtedness to any predetermined model.” Striking debt here can mean many things; it conjures images of a physical blow against a specified target, or crossing out the tabulation on which crippling debt is registered. 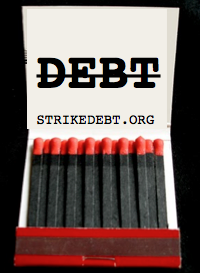 Strike Debt propaganda has also emerged depicting the striking of a match, an image that lends itself naturally to the spectacle of burning debt-statements in an echo of draft-card burning which began in earnest on 1T Day and is likely to be scaled up in the form of debtors’ bonfires later in the summer. Further, an image of the iconic Quebec red square supplemented with the DEBT sign has started to go viral on Facebook. Even as it carries with it a tone of negation or attack, the call to strike debt also has an affirmative dimension attuned to OWS principles of mutual aid. To strike debt in this context would also be to create infrastructures of support and care — legal, financial and cultural — for those suffering from indebtedness or deliberately taking the risk of debt refusal. Mutual aid in this sense would be the prefigurative opposite of the atomizing, predatory and fear-mongering debt system of Wall Street. An intriguing mutual aid pilot project is the idea of a “debt fairy” campaign in which groups of private citizens would pool their resources to purchase defaulted debt for pennies on the dollar from banks — who typically sell to collection agencies — liberating the debtor from their burden. While not a structural solution — and not applicable to student loans — scaled up it could become what David Graeber imagines as a “moving jubilee” capable of both garnering media attention around debtors’ struggles and taking business away from the intermediary companies that profit from hounding and penalizing those unable to pay. If debt is a gateway into a radical conversation about the capitalist system itself, strategic and analytical questions arise about the role of the state — questions that have always haunted OWS as a movement grounded in anarchist principles. What can we learn from the debt cancellation forced upon the Icelandic government by citizens earlier this year? 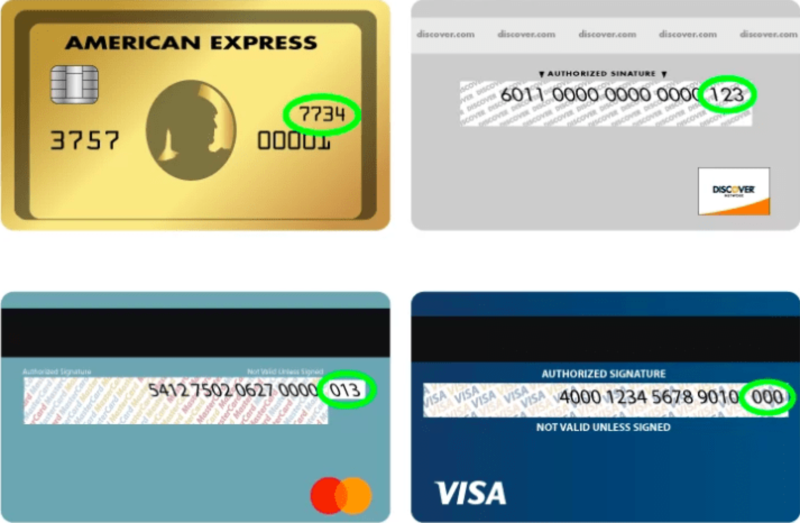 How do we connect the dots between “personal” debt and the public debt of municipalities and governments subjected to corporate bondholders and credit-rating agencies? How do we link struggles against budgetary austerity with the grievances of the indebted? 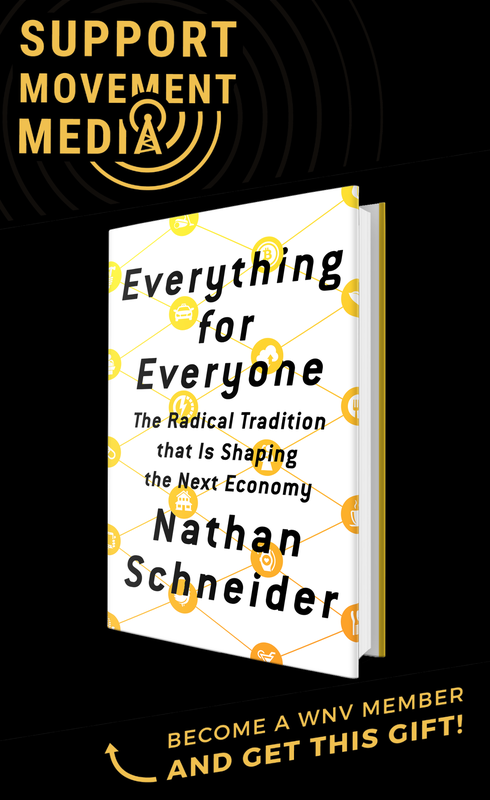 In the words of Andrew Ross, “How might debt be rethought as something socially productive and collectively managed, rather than as an engine of predatory profiteering for the 1 percent?” Can we think beyond existing models of public finance, planning, and infrastructure toward something closer to the ideal of “the commons”? As activist and New York University professor Nick Mirzoeff has asked, in a speculative vein, if “slavery” to debt were abolished, what would a subsequent “Reconstruction” process look like? For ordinary people to delve into these questions is empowering in its own right, and for OWS they will continue to be explored through public assembly and direct action of the sort that began at Liberty Square 10 months ago. The debt conversation has figured prominently in the messaging and planning discussions surrounding the September 17 anniversary (S17), which will involve a three-day national convergence in New York City encompassing conferences, assemblies, cultural events, trainings and disruptive direct action. Organizers of S17 are wary of of what F the Bank member Aaron Bornstein calls the “overpromise, underdeliver” expectations exemplified by the May Day general strike call, as well as the risk of falling into a backward-looking, self-referential celebration of Liberty Square. However, S17 and the build-up to it provides a spotlight that organizers are keen to take advantage of in order to roll out a multi-pronged series of documents, media campaigns and creative actions that they hope will lay the groundwork for a full-fledged debtors’ movement that goes far beyond any single day of action or electoral cycle. The coming months will see an escalation on the part of Strike Debt. The first of several projected non-Manhattan Debtors Assembly was held recently at Occupy Town Squares Bushwick in Brooklyn, where participants grappled with how to articulate the debt conversation with urgent struggles around issues such as the NYPD’s stop-and-frisk policy, immigrant worker justice and radical community-based direct actions, such as the rent strike taking place in the Brooklyn neighborhood of Sunset Park. David Graeber will lead a debt-related teach-in at Summer Disobedience School this weekend, and the related action will target NYU as a warm-up exercise for a large-scale casserole march on July 22 called Red Sounds, in which Strike Debt will collaborate with activists from Free University and All in the Red. All the while, organizers will be sharing and strategizing for the S17 convergence and beyond. While it remains to be seen on what terms OWS will collaborate for S17 with its allies in the “99% Opposition” on the institutional left — ranging from the groups gathering for the Student Power Convergence in August to the 99% Spring network, to May Day partners such as SEIU — there are signs of an emerging consensus across the spectrum of the left that debt, and especially student debt, is a key note to hit for a longer-term vision of social and economic renewal. While some will attempt to yoke the energies of S17 to the timeframe of the electoral cycle and ultimately the established mechanisms of the state, OWS will push back with its own sense of time and priorities. The physical tactic of occupation first deployed on September 17, 2011, is unlikely to be replicated, but the spaces of education, empowerment and imagination created by Occupy remain open. Debtors — which is to say, the 99 percent — are poised to step out of the shadows and into that space, providing it with the content and focus required for what was once a precarious encampment to evolve into a sustainable social movement. A nice summary of the Debt Campaign! True — though one can’t exactly ask for consensus at the General Assembly anymore:) It seems to me that currently the only measure of the focus is that a significant number of people are consistently participating in a given project and giving energy to it. 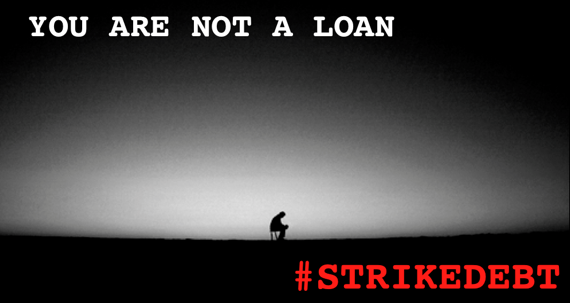 Nor do I think that anyone is claiming that Strike Debt is or should be the sole focus of the movement, or the only project. For sure. No one could deny there is energy around the issue! Agree, but it would be great if there was one sphere that could represent us all. Being a mess of messages like it is now doesn’t help anyone. continuing to be an organic movement requires effort, focus, and ongoing conversation. watching the strike debt campaign come together as various autonomous individuals and working groups coalesce at what is naturally an intersecting place of action for all. last september people came together in a common frustration with inequality. now people come together with a common target for that frustration. debt is the tool of inequality. great article. What a bunch of pathetic excuse-making for people who were happy to borrow someone else’s money, but now find it difficult to pay back and thus want to somehow make their deadbeat status into some kind of badge of courage or nobility of soul. Garbage. You were foolish people who did not think critically about the amount of money you were borrowing and the likelihood of being able to pay it back. You got your $100,000 degrees in sociology and postmodern feminist whatever and now you want to blame someone else – society, bankers, whomever – for “making” you borrow the money. You are people without a moral compass who are going to suffer your whole lives until you learn to stand up like men and women and take responsibility for your own choices in life. But I guess someone else is supposed to pay for your life lessons. At least you learned to churn out the bulls*** with your degree. See how far that gets you. Amen! Well said! I would only add one thing, GET A JOB! You make some fair points about accountability but you fail to make the system accountable. The system is designed for debt. So ultimately, you fail. I notice the slave mentality of the objectors to this idea. Trouble with their evaluation is they don’t include the concept that the “other people’s money” they think is stolen was simply invented like pixie dust. As long as we go on defending a system of exploitive economics we will be victims of this manipulation and name calling. The very underlying basis of this is the way we think of land and the natural resources that give us life. Because we insist on ownership instead of use of land we keep shooting ourselves in the feet. Our homeland security should consist of nothing less than a fair share of the land and the resources we need to make ourselves self sustaining. The right to these must be inviolate for each American if we are to make ourselves into a culture of truly free people. People with land and the resources they need to make shelters and grow food don’t need to propitiate to corporations, their government or to the military industrial complex for our means to survival. Our right to life, to liberty and to pursue happiness will be in our own hands when we are free people on our own land. We must end the debt, but we must end the hoarding that accrues resources and power into the hands of the few while creating massive suffering and deprivation for the many. Land Shares is the road to real freedom. Debt Jubilee is the first step on that road. Let’s do it! 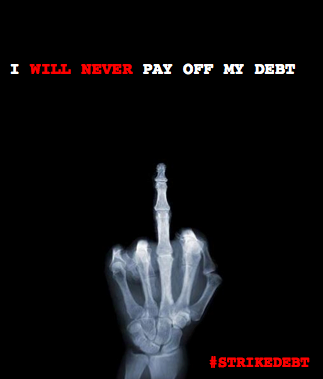 Do not go into debt for a car or a student loan. That is the best way to protest these bankers. Do not play their game. Hiya fellas! How think you’re currently?